The opening NFL Sunday ended with another odds-defying performance from Aaron Rodgers. The hobbled Packers quarterback returned from a worrisome knee injury to help Green Bay overcome a 20-point deficit and beat the Chicago Bears 24-23 Sunday night. The Packers, who entered the game as 7-point favorites, were quickly transformed into significant underdogs, with odds as long as 18-1 to come from behind and beat the Bears, who stormed out to an impressive lead and seemed to be in complete control after Rodgers was forced out of the game in the second quarter. Rodgers gingerly walked off the field after being sacked by Chicago defensive end Roy Robertson-Harris and eventually was carted back to the locker room for additional evaluation. Minutes later, Bears defensive end Khalil Mack returned an interception for a touchdown that put Chicago in command, up 17-0. At halftime, with Rodgers' return officially questionable, oddsmakers at New Jersey sportsbooks DraftKings and FanDuel had the Bears listed as giant -3,300 favorites to win (bet $3,300 to win $100), with Green Bay being offered anywhere from 18-1 to 15-1. DraftKings reported that around halftime a bettor risked $2,000 on the Bears to win at -3,333 odds for a chance at around a $60 profit -- only to cash out for $1,838.28 six minutes later, shortly after Rodgers resurfaced. The Packers' odds peaked at 18-1 early in the second half at DraftKings' sportsbook in New Jersey. Trailing 20-3 heading into the fourth quarter, Green Bay was 10-1 at William Hill books. Still, the Bears maintained a 17-point cushion and were still hefty favorites heading into the fourth quarter. But after Rodgers threw his first of three touchdown passes of the fourth quarter, the Packers were on the comeback trail and their odds were improving. Rodgers capped the comeback with a touchdown pass to Randall Cobb to give Green Bay its first lead with just over two minutes to play. At DraftKings' New Jersey sportsbook, 97 percent of the money-line bets placed on the Chicago-Green Bay were on the Packers. The tale-of-two-halves game also caused Chicago's Super Bowl odds to fluctuate. With the Bears leading 17-0 and Rodgers carted off the field, the Westgate SuperBook in Las Vegas trimmed Chicago's Super Bowl odds from 50-1 to 18-1. The Bears were back at 50-1 to win the Super Bowl at the Westgate on Monday morning. The Packers' dramatic comeback was the highlight of the first NFL Sunday where states outside of Nevada could offer legal, Las Vegas-style sports betting. In May, the U.S. Supreme Court lifted the Professional and Amateur Sports Protection Act of 1992, the federal statute that had restricted state-sponsored sports betting to primarily Nevada. Since the Supreme Court decision, Delaware, Mississippi, New Jersey and West Virginia have opened sportsbooks. "We had a very sizable crowd here prior to the 1 p.m. NFL games kicking off on Sunday," Erich Zimny, vice president of racing and sports operation for Hollywood Casino in Charles Town, West Virginia, told ESPN in an email Monday. "We definitely saw an increase in foot traffic, which is one of the results we hoped for when it was decided to place the sportsbook where it was placed." There were reports and pictures on social media showing long lines at sportsbooks in Atlantic City and Mississippi as well. But it didn't seem to take anything away from Las Vegas. Nevada sportsbooks reported no signs of any decrease in betting handle, despite other states now offering sports betting, too. "It was just business as usual," said Ed Salmons, head football oddsmaker for the Westgate SuperBook. "Wall-to-wall people, just crazy. It was probably the busiest I've ever seen the book before the 10 o'clock [Pacific Time] games on opening Sunday." It was standing-room only at the Mirage sportsbook on the Strip in Las Vegas, as well. "Good start to the football season," MGM vice president of race and sports Jay Rood said Sunday night. "Cocktail waitresses were running around with 30 drinks on their trays. It was a good day." Rood, for the first time in his career, is overseeing sportsbooks in multiple states. MGM is operating in Mississippi and New Jersey in addition to Nevada. The point spreads and totals on the NFL were consistent in the varying states, but Rood said he was beginning to see some regional biases show up in the betting patterns. MGM is running sportsbooks in New Jersey and Mississippi now. "Down in Mississippi, the Saints are drawing a ton of action to win the Super Bowl," Rood told ESPN on Sunday night. "Back east, the Giants are starting to draw a lot more action as well." Rood added that the amount wagered Sunday at the MGM sportsbook at the Borgata in Atlantic City was comparable to the handle at one of the company's sportsbooks on the Las Vegas Strip, like the Bellagio. One of the most noticeable differences in New Jersey's betting handle compared to Nevada has been a lesser amount of action from sophisticated bettors, Rood said. "I thought we were going to have someone show up and fire away six figures on a few games [at the Borgata]," Rood said. "We didn't really get that. I think one of the largest bets we took was somewhere around $50,000." Rood said in Las Vegas he took six-figure bets from a VIP casino guest on the under in Dallas Cowboys-Carolina Panthers game and the under on Bears-Packers. "We also had some big, big bets on the Browns," Rood said. "The freaking Steelers gave that game away." • Nevada sportsbooks reported a mild win on a Sunday that saw a run of early favorites cover the spread, but also a jarring upset that in a lot of ways saved the day for bookmakers' bottom lines. The Tampa Bay Buccaneers stunned the New Orleans Saints as 10-point underdogs, behind a big performance from veteran quarterback Ryan Fitzpatrick. "Fitzpatrick made the day," Chuck Esposito, sportsbook director at Station Casinos, said. At DraftKings, 97 percent of the money-line bets on Bucs-Saints were on New Orleans. • The Baltimore Ravens' 47-3 blowout of the Buffalo Bills, and the Minnesota Vikings' 24-16 win over the San Francisco 49ers produced the two biggest losses for multiple sportsbooks. 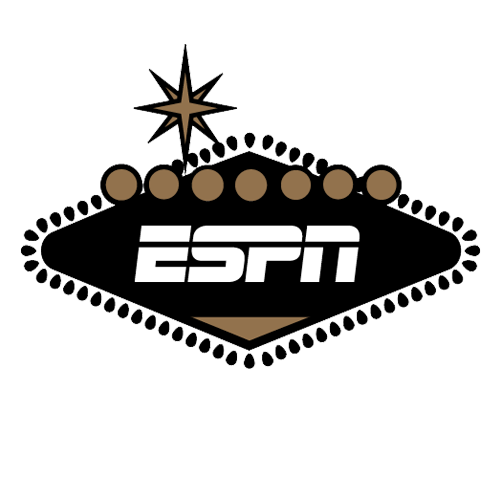 • "It looks like our entire weekend is going to come down to the Rams-Raiders game," a sportsbook manager for Caesars Palace sportsbooks told ESPN in an email. "Right now, the ticket count is about 4-1 on the Rams, and there is still a ton of parlay liability through the Rams." • The Browns and Steelers tied 21-21. The point spread on the game had dropped from Pittsburgh -7 to as low as -3 by kickoff. Browns bettors who took the points were winners, while all money-line bets on both sides of the game were refunded. The total had been as high as 46.5 early last week. Forecasts of rain and win dropped it down to as low as 40.5 at kickoff. The game ended with 42 points. • On Sunday, before Rodgers' injury, the Packers opened as 2.5-point favorites over the Minnesota Vikings at the Westgate. The book took the game off the board after the injury, before reposting the Packers as 1-point favorites. • Rodgers' over/under passing yards was set at 274.5 at DraftKings. He finished with 286 yards passing. Ninety-eight percent of the money wagered on the prop was on the over, a DraftKings' spokesperson said. • DraftKings sportsbook paid out winners on rookie Sam Darnold being the Jets' opening-day starting quarterback, a type of wager that in the past hasn't been offered in Nevada over fear of inside information. • MGM's two Mississippi sportsbooks did "more than double" the betting handle on college football compared to the Borgata in New Jersey. • Sportsbooks reported strong results from Saturday's college football. "We had a great day, phenomenally good," Salmons of the Westgate said Sunday. "If Texas A&M would have won that game [against Clemson], we would have had a record win yesterday."